Can't wait until the sonogram confirms your little boy or girl? 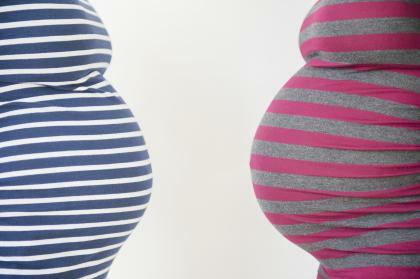 Try this quiz to predict the gender of your baby. Granted, it's based on old wives' tales, but there's a reason so many people believe them, isn't there? 1. Take a good long look at your silhouette. Are you carrying this baby high or low? I am carrying so high, the baby is constantly kicking my ribs. This baby is sitting on my bladder! I'm definitely carrying low. I can't tell. It looks like the baby is sitting right in the middle. This baby is so wiggly. Some days the baby seems high; other days the baby seems low. It's a toss-up for me.